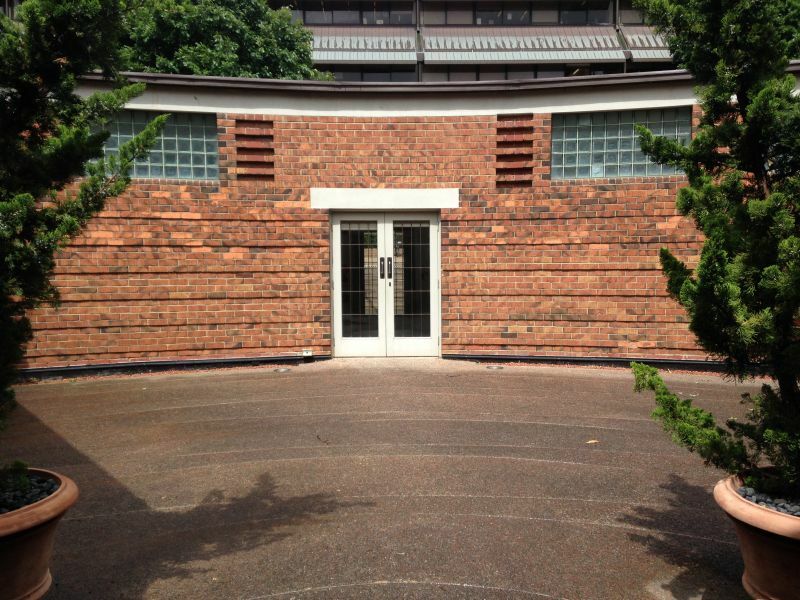 The central open courtyard within the Grainger Museum is a small, still space, accessible from within the Museum and almost unknown in the University. Open to the sky, surrounded by the brick structure of the heritage-listed building, the courtyard has a unique indoor-outdoor feel and an interesting acoustic. The downside of the space is uncontrolled exposure to the elements. In 2017, the Grainger Museum began a collaboration with key partners, including the Melbourne School of Design, the design research group Parallel Practice, and the Faculty of Fine Arts and Music, with support from ARUP (SoundLab) https://www.arup.com/perspectives/soundlab called Grainger Amplified. The project aims to explore, in a research context, how a state-of-the-art sound performance and recording space could be created within the Grainger courtyard, while retaining the open-to-the-sky vibe. As part of this project development, the team put in a successful submission to Science Gallery Melbourne for inclusion in the forthcoming Perfection exhibition https://perfection.sciencegallery.com. A core element of the submission was the commissioning of 3 MCM composition students to create new work specifically for the Grainger courtyard, on the theme of stillness and perfection. The composition students - Zinia Chan, Wayne Kington and Chris Pickering – have each created new five-minute works to be played in live performances, and as ongoing soundscapes, through the period of the Perfection exhibition in the Grainger courtyard. The compositions, titled respectively ‘In Transition’, ‘Moments of Congruence’, and ‘Ceiling of Clouds’ will be recorded live in the courtyard by ARUP on 14th September, for use in the next acoustic experimental phase of the project in the SoundLab. During the exhibition, running from mid-September to November, visitors to the Grainger will be asked to contribute responses to their emotional experience of the music, via a web platform currently being created by postgraduate IT Grainger Intern, Jiaming Wu.